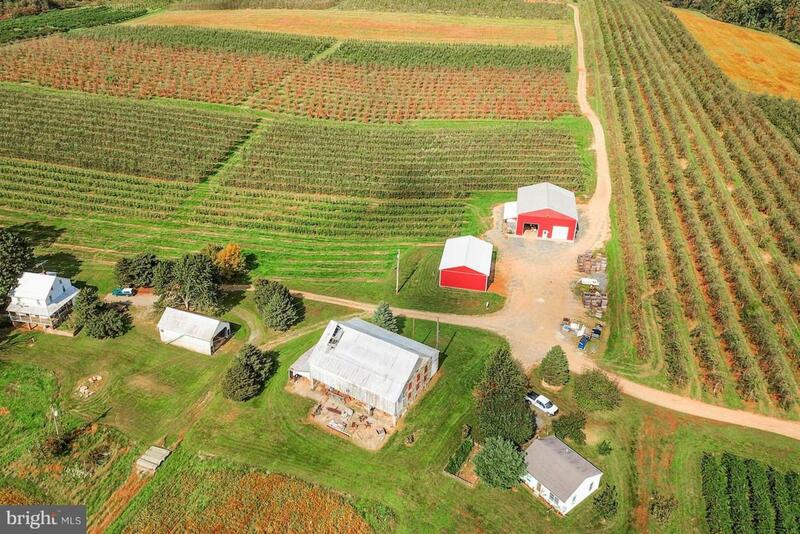 Established fruit farm for sale in Upper Adams. 134 acres featuring 2 rental homes: 1- Two Story Farmhouse, 1458 sq. ft.. 2- Rancher, 780 sq. ft.; 46X60 Bank barn, pond, 34X40 equipment shed, 48X56 shop & carriage house. Fruit trees/orchards include the following apple varieties: Golden Delicious, Honey Crisp, Gala, Yorks, Ginger Golds, Red Delicious & Fuji. Apple yield 800 bushel per acre. Tillable acreage includes corn & soy beans. There is also several orchards offering peach & cherry trees, and other varieties of assorted fruit trees & grapes for the fresh fruit market. AMAZING PANORAMIC VIEWS! Entire parcel is zoned "Single Family Residential" - zoning allows for the potential of sub-division and the development of single family homes. Incorporated City Name Menallen Twp.